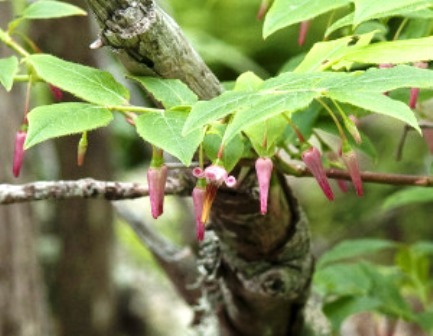 Mountain cranberry is a shrub native to southeastern North America at high altitudes in the southern Appalachian Mountains, and also in eastern Asia. In nature it grows in thickets, rocky woods and summits. Mountain cranberry is a deciduous shrub growing upto a height of 1.5 m. Leaves, serrulate-spinulose with glandular teeth; corolla 4-lobed and strongly recurved, the lobes longer than the tube. Fruit a berry, borne solitary in leaf axils and red to red-black colored. Calyx lobes are visible on the fruit. The somewhat transparent, scarlet berries have an excellent flavour. These are eaten raw and also used in jellies etc. These are also used in sweets. 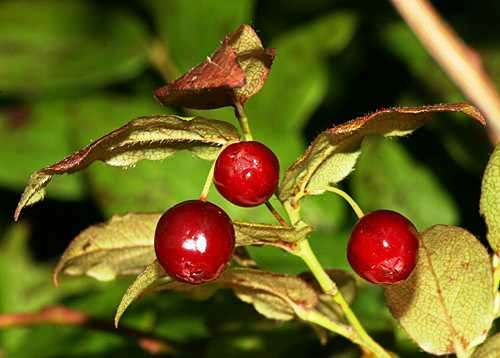 Mountain cranberry requires a moist but freely-draining lime free soil, preferring one that is rich in peat or a light loamy soil with added leaf-mould. It prefers acid soil with a pH in the range of 4.5 to 6. 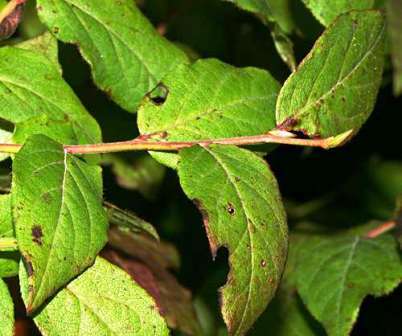 The plants soon become chlorotic when lime is present. This plan succeeds in full sun or light shade though it fruits better in a sunny position. This fruit can be propagated by seed as well as cuttings. 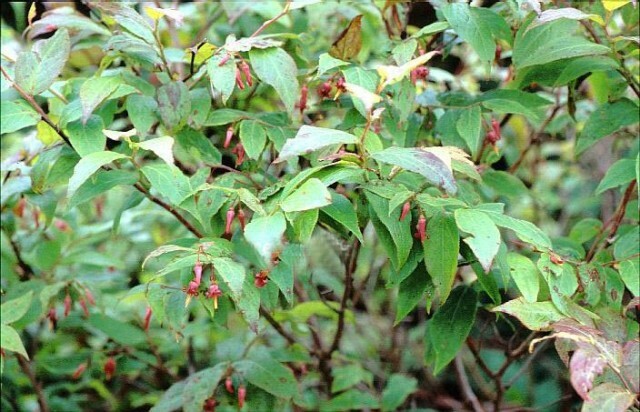 Mountain cranberry has been recommended for improvement by cultivation for its edible fruit.